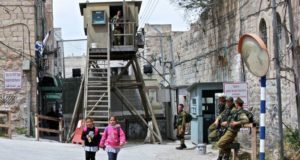 Such questions had already arisen in 2005, when a government-commissioned report accused the settlement division of complicity in diverting funds and confiscating West Bank land to put up some of the more than 100 “outposts” — small wildcat settlements — that settlers have built, some on privately held Palestinian land. Defying international objections, Israel has allowed nearly 300,000 Jews to settle in the West Bank plus some 180,000 in Jerusalem’s Arab sector, which the Palestinians hope to make their future capital. In a speech last week, Prime Minister Binyamin Netanyahu said, “We have no intention to build new settlements or set aside land for new settlements,” but he gave no commitment to stop expanding existing settlements as the White House has demanded. The settlers maintain that secrecy is essential to protect Palestinian sellers from retribution. The Ofra purchase is such a case, they told the court. 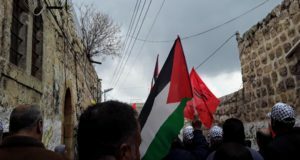 Ofra’s lawyer, Yaron Kosteliz, said proof that the land was bought from Palestinians has been given to the state confidentially to protect the sellers. The Defense Ministry, named as a respondent in the court petition, did not respond to an e-mail and calls seeking comment. Kosteliz, Ofra’s lawyer, said the settlement never received the demolition order. The Brodts said they were unaware of it when they signed the contract with the settlement division. They said the settlement was in charge of the construction. The houses were near completion when the legal appeal was filed, and settlers hurried to finish construction during the two weeks the state was given to respond to the petition. 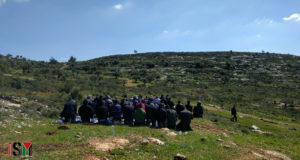 They even won a rare and controversial dispensation from Ofra’s rabbi, Avi Gisser, to allow construction to continue on the Sabbath, the Jewish day of rest, using non-Jews as workers.